The Cleaning Solution Series ensures maximum efficiency and accuracy of your sensors when used for it’s designated application. Cleaning is a fast and effective routine that should be performed on a regular basis as a preventative measure against using a dirty electrode and to ensure that the junction is not clogged. The HI700661P is a cleaning solution made to clean pH electrodes used in agricultural applications. 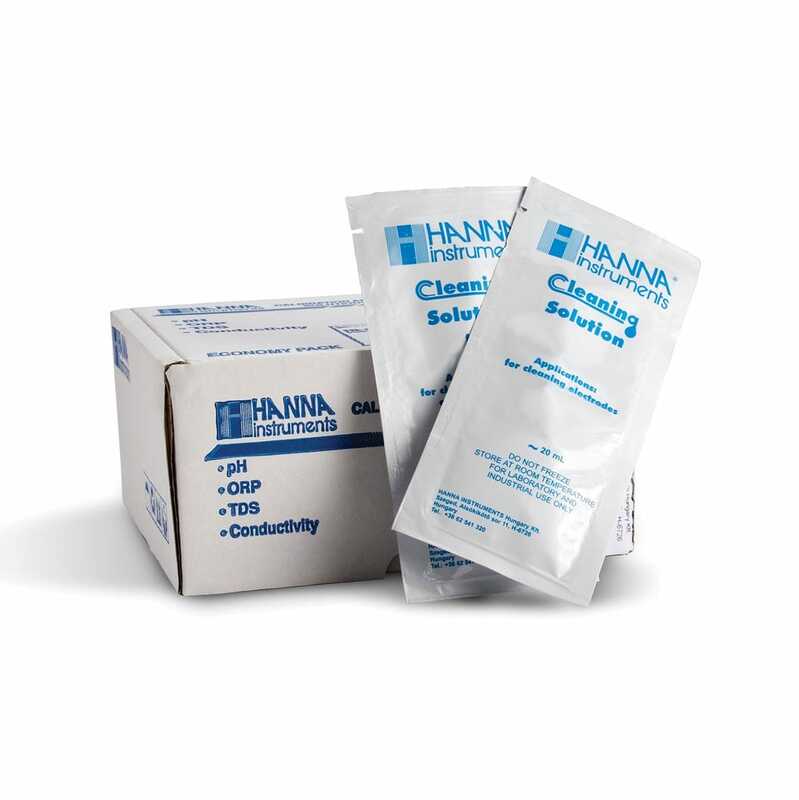 Hanna cleaning solutions are specially formulated to have an expiration of 5 years from manufacture for an unopened sachet. 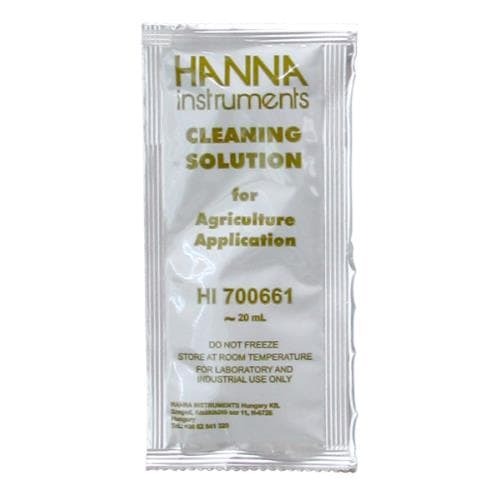 The HI700661P is a highly effective cleaning solution that is specially formulated for pH electrodes used in agricultural applications. 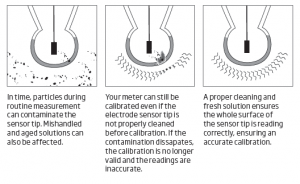 Electrodes can become dirty from use and will produce inaccurate results even as they read correctly in a pH buffer. Hanna’s cleaning solutions eliminate impurities and residues that are left on electrode surfaces when immersed in samples during measurement and stored incorrectly. Hanna suggests cleaning the bulb and junction of your electrode on a regular basis to ensure that the probe is always clean and prevent any clogging of the junction. Each sachet has the lot number and expiration date stamped on it and is made of light block foil ensuring freshness each time one is opened. 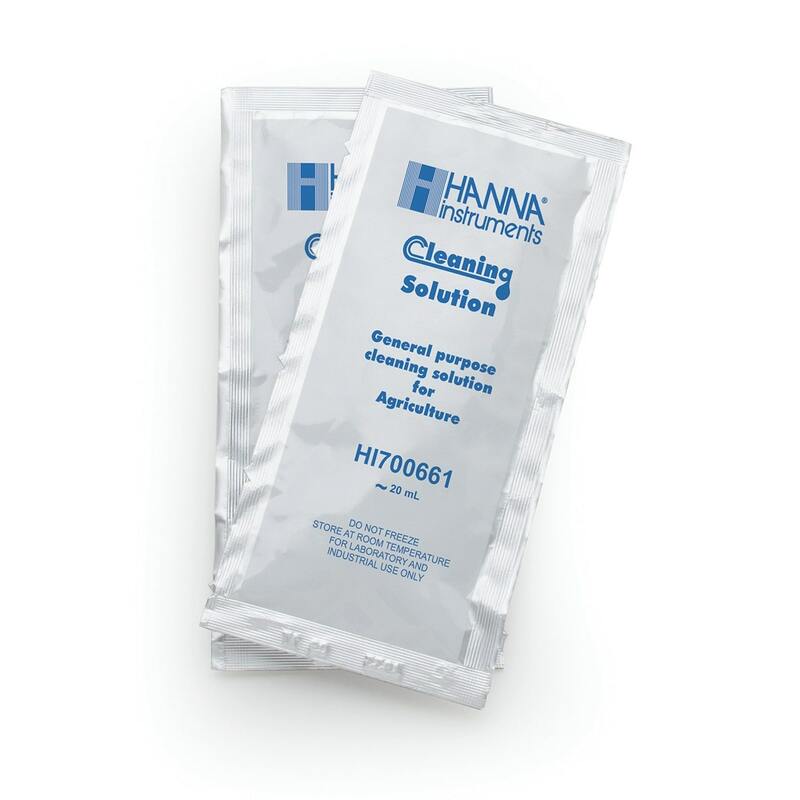 Hanna’s line of cleaning solutions have been specially formulated to have an expiration of 5 years from the date of manufacture for an unopened sachet.